The M.A. in Counselling and Psychotherapy is one of the most innovative programmes of its kind in Ireland. The programme is designed for those who have a broad range of undergraduate or professional qualifications and training in health, social and human science disciplines and the programme supports the development of reflective professional practitioners who can demonstrate the type of higher order competence expected of practitioners who are qualified at Masters level. Graduates will have demonstrated that they have the proven capacity to work autonomously in professional practice or as part of a multi-disciplinary team in a range of settings using Counselling and Psychotherapeutic approaches. It is one of the first programmes in Ireland to have been formally confirmed to meet the new award standards in Counselling and Psychotherapy. As part of the movement towards the statutory regulation of counselling and psychotherapy in Ireland, the Government requested in 2012 that new educational standards would be set by Quality Qualifications Ireland (QQI) to enable the process of statutory registration to progress. These standards were set in 2014 and this masters programme meets the new educational standards. It is expected that these award standards will be used as the basis for determining educational requirements for statutory regulation which will be overseen by CORU (The Health and Social Care Professionals Council). This M.A in Counselling and Psychotherapy is a specialist programme which enables learners to develop the skills, knowledge, attitude and approach necessary to work as a professional counsellor or psychotherapist in a range of settings. Graduates will be complex consumers of evidence based practice. 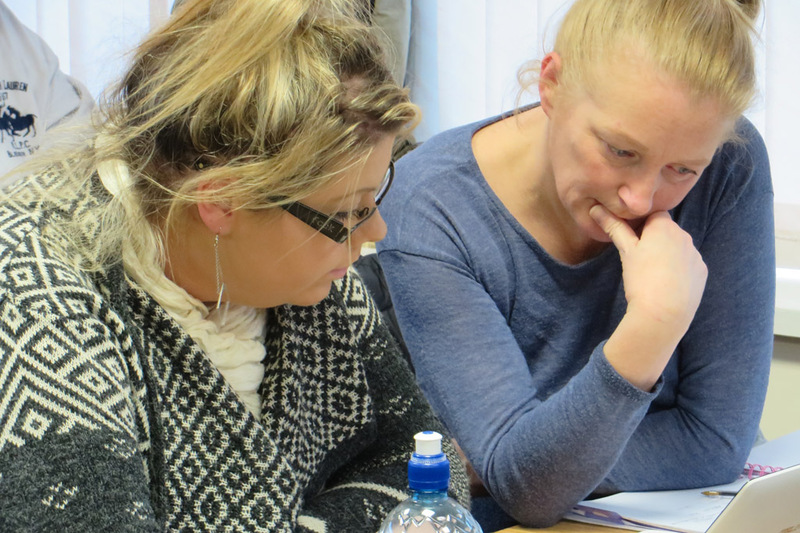 Higher order practice in counselling and psychotherapy is largely dependent on the capacity of practitioners to integrate theory and practice in a reflective manner and the development of reflective competencies is central to this programme. As part of this Masters programme, you will study the fundamental theories of counselling and psychotherapy as well as psychotherapeutic skills and engagement. There is also a module specifically supporting you to understand psychopathology. In addition you will study evidence based practice and research methods and design. All of these modules are designed to support you to apply all these elements of learning during the 200 hours of client work you are required to engage with in a practicum module as well as in the completion of a dissertation. The programme combines both theory and practical skills in a way that supports the academic and professional development of the learner. The course was revised in 2015 and is validated by Quality and Qualification Ireland (QQI) who have overall responsibility for the quality of 3rd level academic programmes in Ireland. The course commences each September and can be taken on a full time or part-time basis. Likewise, individual modules may also be taken on a stand alone basis. Taught Modules are taken across two twelve week terms through a combination of classroom based modules as well as some that are blended. Blended learning combines face to face and web based teaching and learning, which allows the learner to access classes in person or using on-line facilities to allow for a better work/life/study balance. In certain modules mandatory attendance is a requirement. The tuition fees for the Full -Time programme are €6,165 (completed over 1 year) or €7,165 where the programme is taken on a Part time basis (completed over 2 years). Students can pay in instalments and all fees are fully protected under our Protection of Enrolled Learners’ Policy. Students can complete this course on either a full-time or part-time basis. Class participation for classroom based teaching normally requires attendance on 1 evening per week (6pm to 10pm) and Saturdays (9.30am to 4.30pm) over 2 semesters in the academic year (September to December and January to April). Part-time students commit to the programme for two years and they normally complete their taught modules in the first year and spend their second year working on their Practicum and Dissertation. Please refer to timetables for exact times and dates. The programme is taught using a combination of classroom based and blended learning techniques. This allows the learner to access classes in person or using on-line facilities. In certain modules attendance will be a mandatory requirement. The Programme is divided into Modules each of which has Educational Credits (ECTS) associated with them. Each Module may also be taken on a stand alone basis. It is also important to note that students who complete 60 ECTS and who wish to exit the programme without completing their Dissertation may be awarded a Postgraduate Diploma in Counselling and Psychotherapy. At ICHAS, every lecturer and member of staff is committed to excellence in education and professional practice. Each Module has a Module Leader who works with students to enhance their learning and will provide formative and summative feedback throughout every module. Each programme has a Programme Co-ordinator and in addition you will have direct access to the Programme Leader and the Director of Graduate Studies. On successful completion of the MA in Counselling & Psychotherapy, students will be qualified to access Level 10 Programmes on the National Framework of Qualifications (NFQ). Applicants are normally expected to hold a minimum of a second class honours degree (2.2) at Level 8,or its equivalent in a related discipline. The nature of the programme allows for the consideration of candidates from a variety of backgrounds. Those with relevant experience will also be considered through our Recognition of Prior Learning Processes (RPL). Applicants are also required to complete a short interview. All applicants are expected to be fluent and competent in both written and spoken English. In the case of overseas applications, students will have to provide certification of competency in English indicating a minimum score of 6.5 IELTS. Complete an interview process, which is designed to explore your reasons for taking the programme and to ensure that it is suitable for your needs. The Department of Health has repeatedly emphasized that QQI qualifications(or their equivalent) will be required for registration with Coru. This programme has been found to meet the Award Standards as set out by QQI. The Government has committed to increased funding of mental health initiatives. This qualification offers many opportunities for employment or for career progression. Graduates with qualifications in Counselling and Psychotherapy at Masters level find employment in a range of public services such as Mental Health Services, Community Health and Social Care settings and of course in Private Practice. This can involve careers working with many disparate groups, including (but not limited to) young people, adults, women at risk of domestic violence, the elderly and those with mental health issues. More non traditional areas of application increasingly include areas such as sports, which are now utilising the skills of professionally qualified Counsellors or Psychotherapists. It meets the new QQI Award Standards for Counselling and Psychotherapy in Ireland.